Kohlberg's Antiques, 429 17th Street in the 1960's - Manuel at his work-bench. Manuel Naranjo, the Silversmith and craftsman for Kohlberg's. 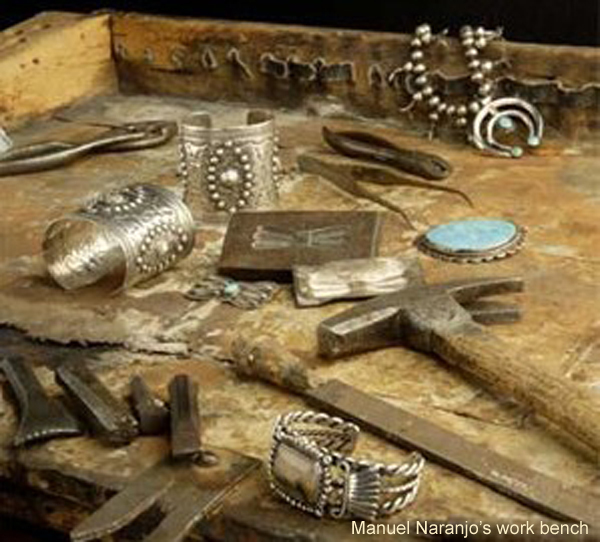 Manuel was the brother of Anacita Naranjo, who was married to David Taliman, another very talented silversmith. He didn't always wear the head dress! The photo was taken by my mom. The Native American Curio Trade in New Mexico, by author Jonathan Batkin. 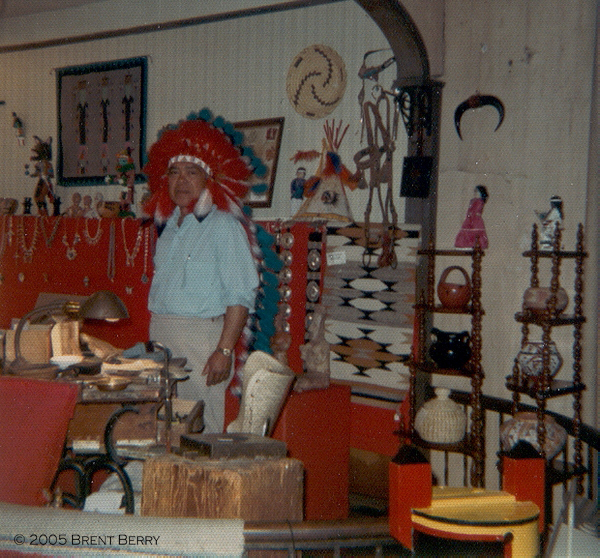 "The Native American Curio Trade in New Mexico"